A Cisco 2900 Series router with the following basic configuration is found answering to the TCP connection attempts (replying SYN-ACKs for the SYN requests) upon TCP ports 2002, 4002, 6002, and 9002. System image file is "flash0:c2951-universalk9-mz.SPA.152-1.T3.bin"
Enter TEXT message. End with the character '^'. Below shows that the router was only listening upon TCP Port 23 Telnet. However it actually established the TCP connections for TCP ports 2002, 4002, 6002, and 9002 upon Nmap slow comprehensive port scanning. After a while, it will actually again shows only listening upon TCP port 23. 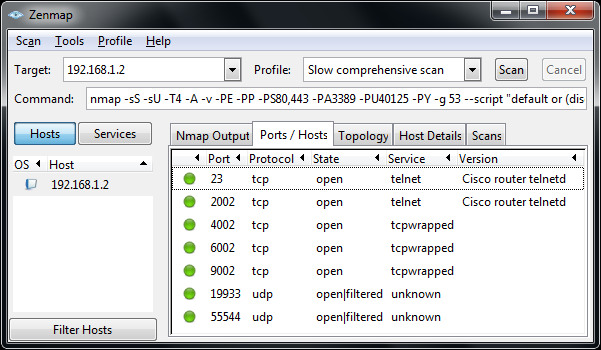 Below shows the Nmap / Zenmap slow comprehensive scan results. 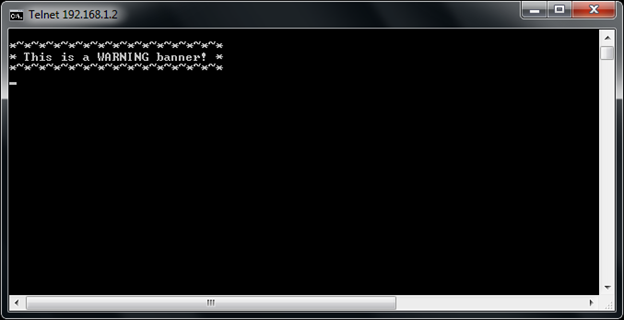 Below shows the screen of the Windows Command Prompt upon telneting to TCP port 23. 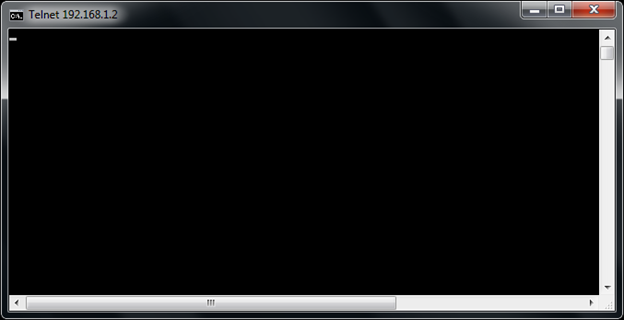 Below shows the screen of the Windows Command Prompt upon telneting to TCP ports 2002, 6002, and 9002. 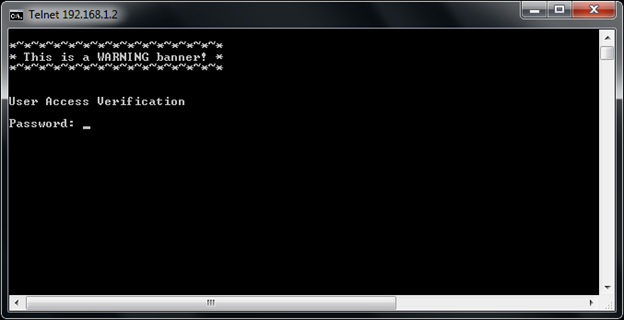 Below shows the screen of the Windows Command Prompt upon telneting to TCP port 4002. Solution #1: Disable line 2 completely. Not recommended because this will also block us from accessing to the service module for troubleshooting and maintenance purposes. Solution #2: Define access list and access class to only allow certain hosts or IP subnet ranges to access the service module. Thank you for this, very useful! Still very helpful! A security audit dinged me for answering up on "telnet" on my 2911, even though I am using SSH only. This was the issue.. Thanks again, loved your CCNA book as well..